Before I start talking about what to see in Florence in one day, I must warn you that 24 hours in this stunning city is not enough. But I totally get it, you might be planning a trip to Italy and you want to see as much as possible. That’s why we decided to put together a guide to things to do in one day in Florence, the best museums and cool places to visit. You might to be able to visit some of the top attractions, but bear in mind that one day in Florence is a really tight schedule. Read our suggestions and pick the museums that are more appealing to you, interesting places that you can manage to fit in one-day Itinerary. If by the end of the day you have some spare time stroll around the city and fall in love with this marvelous, artistic and inspiring place. The first thing you need to sort out are the tickets to museums in Florence. The easiest way is to book them via Tickets Florence, on the website you can book the tickets and also guided tours [private or group tours]. It will save a lot of time and you can plan your itinerary based on the time of your visits. 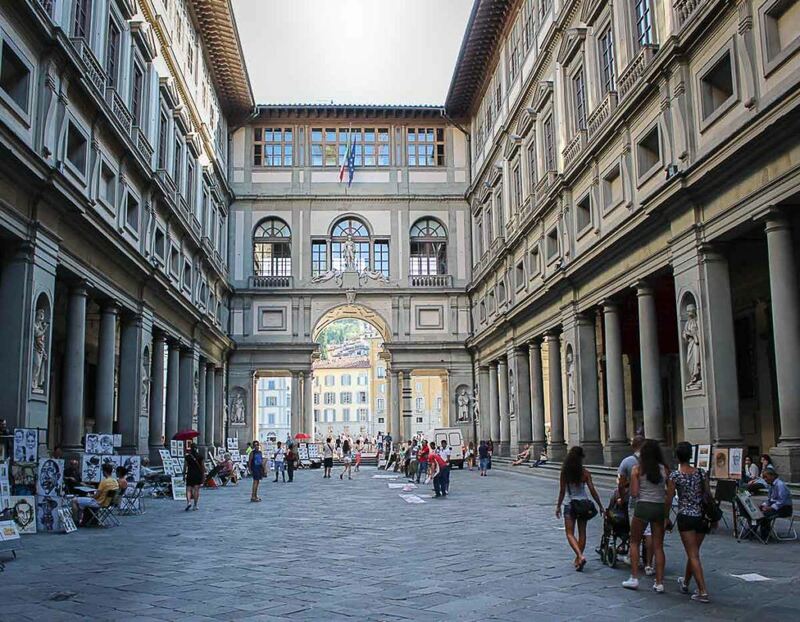 You know what time you need to be in each museum, no wasting time on queues to buy the tickets and also to get inside the museum, especially the Uffizi Gallery, the most famous museum in Florence. Seriously, places like Florence, Rome, Paris and many other super touristic cities in Europe you need to plan a good itinerary in advance, otherwise you won’t be able to enjoy them. For the best flights to Italy, search and book your flights via Skyscanner or Kiwi.com. We love the searching tools and the way they compare the different fares. Your one day in Florence must start early in the morning and after all the tours and museums you can leave the city at night time. The trains are running almost until midnight. Another option is to sleep one night in Florence and enjoy a bit more of the city, especially the bars and aperitivo scene. In this case, we would suggest you to book an Airbnb [get up to $30 usd credit here] or a hotel in Florence old town. It will be easy to get around and make the most of your one day in Florence. 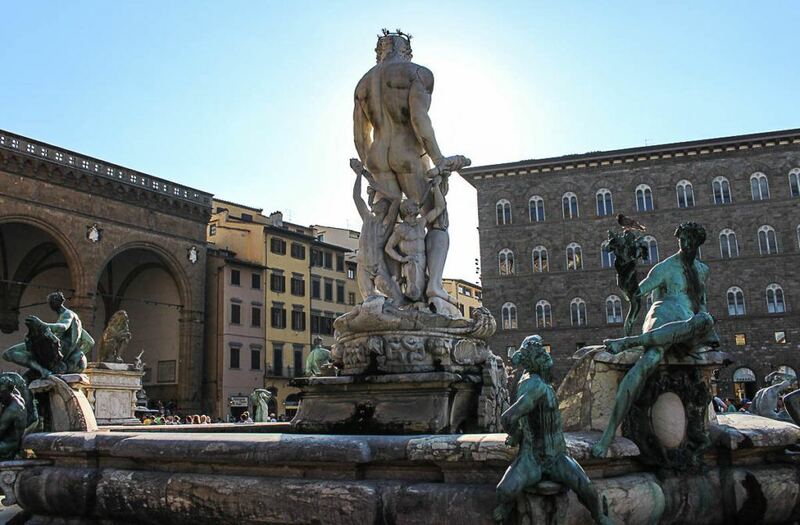 The hotels in Florence city center town are more expensive but you won’t spend much on taxi or transportation. 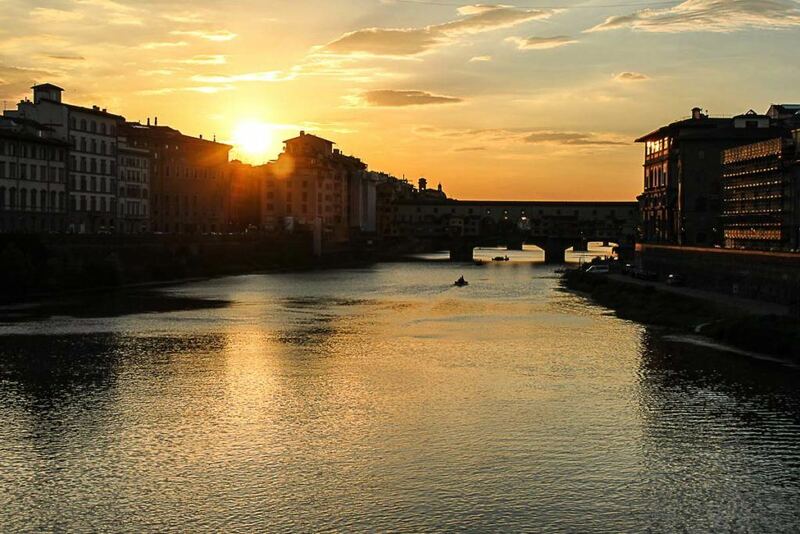 Hotels in Florence under $100 – check the best rates now! It’s time to talk about the best places to visit. 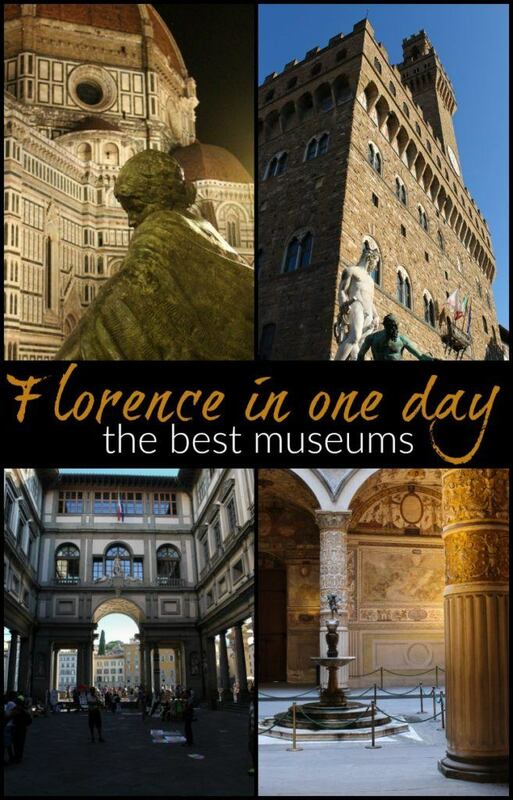 Florence is world famous for its history, art and of course the museums. You can’t say you have traveled to Florence without a visit to the best Florentine Museums. To help you organize your one day in Florence itinerary we selected some of the top attractions, Florence best museums and most visited palaces. Read through our post, pick your favorites and book your tickets. Then you only need to walk around Florence and enjoy the beautiful day. The Uffizi, located in the Palazzo degli Uffizi, is one of the oldest and most famous museums in the world. Its construction started in 1560, as a building where the judges’ offices would be located and it was finished 21 years later. In time, it became a place where the artistic legacy of the Medici family was kept, to finally become a public museum in 1765. Today, it is common to wait hours and hours in front of it to get the opportunity to enjoy some of its numerous pieces of art created by masters like Botticelli, Da Vinci, Michelangelo, Tiziano and others. The museum is stunning, from its architecture and design to all the masterpieces displayed inside. The most famous piece of art you can find in this gallery is “The Birth of Venus” by Botticelli. Another thing that makes Uffizi so special is also the Corridoio Vasariano, a passage that in the past helped the Florentine nobility to smoothly reach the Medici office, across Ponte Vecchio to Palazzo Pitti. The old palace treasures Roman ruins, medieval fortresses and incredible Renaissance chambers and paintings. This is a microcosm where art and history are inextricably linked for centuries. The main hall of the palace is the largest and most important room in terms of artistic and historical value. This impressive hall is 54 meters long, 23 wide and 18 meters high. It was coated with ceilings and large wall murals, golden ornaments, and its sculptures leave you breathless. Piero Soderini selected two of the greatest Florentine artists of the time – Leonardo da Vinci and Michelangelo Buonarroti to build two large murals that would decorate the walls of the room. Two geniuses had the opportunity to work a certain period together, face to face, but unfortunately, nothing of their work was ever completed. The space of the Museum is organized so that a section dedicated to Michelangelo begins with narrow, darkened corridors. In this first section are the sculptures, paintings and drawings inspired by the artist himself and his most famous works. While passing through these corridors and slowly getting closer to the main room, all your thoughts are directed towards the life and work of the great Michelangelo. At the time when you, bound up in impressions, step into the main hall and become aware of where you are, slowly look to the right and you will see the most perfect and most ideal sculpture that shows the beauty of the human body. The famous Michelangelo’s “David” is there waiting to be contemplated. At this moment you will realize that you have to sit on one of the benches and dedicate this place a bit more time than you originally planned. 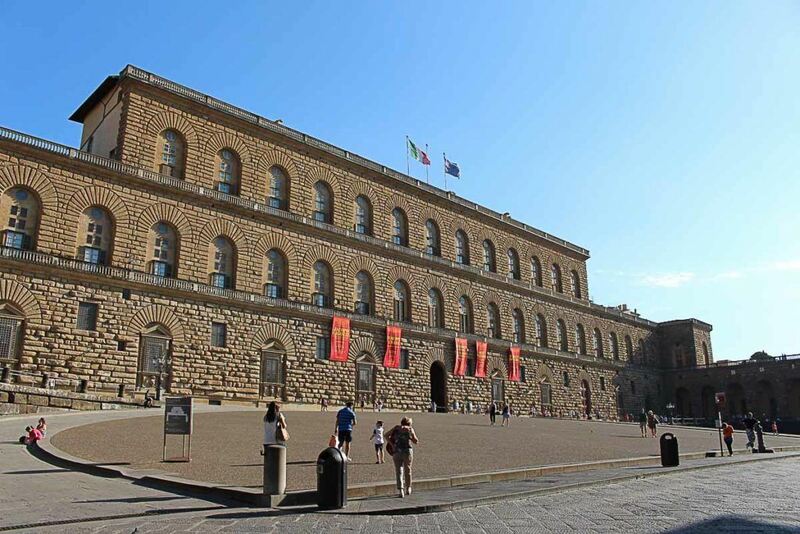 Palazzo Pitti is a Renaissance palace on the south side of the river Arno. 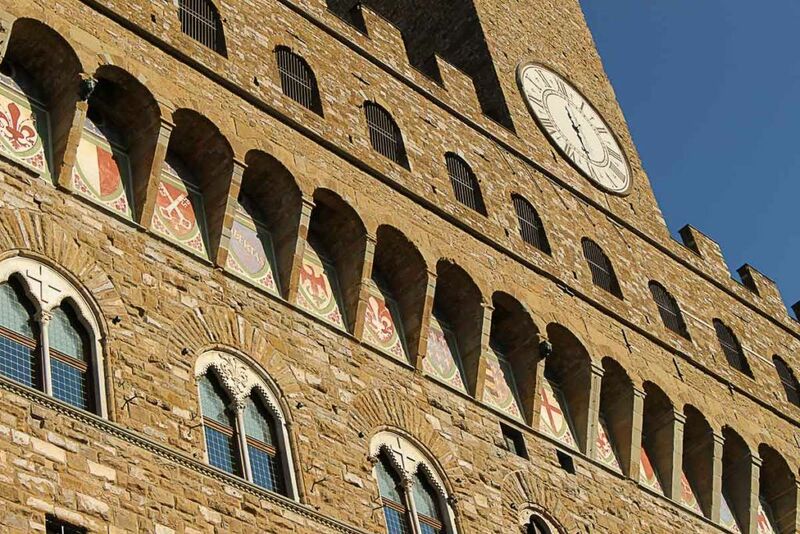 It originates from the 15th century when it was the home of a wealthy banker Pitti to be bought a hundred years later by the Medici family and turned into one of their residences. In the 16th century, they doubled the space, built the Corridoio Vasariano and bought the land on a hill near the Boboli palace to build a garden, now known as the Boboli Gardens, which boasts a number of avenues, sculptures and fountains. From the early 20th century until today, the palace becomes open to the public and you can wander around and see about 140 interior rooms. Currently, this is the largest complex of galleries in Florence, among which are the Palatine Gallery, the Royal apartments, the Gallery of Modern Art, Museum of Silver, Porcelain Museum, Costume Gallery and the Museum of Carriages. The Opera del Duomo dates from 1296 when it was founded by the Republic of Florence and finished by the mid 15th century. This place is considered one of the most recognizable symbols of Florence, representing the cradle of the artistic period that changed the world. The museum, which is part of the complex of the Duomo of Florence, at about 6,000 square meters exposes the works of Michelangelo, Donatello, Lorenzo Ghiberti, Andrea del Verrocchio. There you can find over 750 works of art staggered in 25 rooms on 3 levels. Architect Filippo Brunelleschi, a pioneer of early Renaissance architecture in Italy, designed in the 15th century the cathedral Santa Maria del Fiore, whose dome is the symbol of Florence. Be prepared to spend some significant amount of time here, but admiring these unique artistic and historical values of museum Opera del Duomo will certainly make the time fly. After a two-year-long restoration, Museo di Galileo Galilei re-opened its doors to the visitors. The instruments that you can find there are interesting and date from different periods, some of them even back to the 13th century. In the museum you can see the telescope, the compass and other instruments made and used by Galileo. Also, as of 2010, in the exposition there are body parts of the famous scientist, namely tooth, thumb and middle finger were cut off from his body, which was, accidentally, found the previous year by one collector. All in all, you will not be disappointed with the collection that awaits behind the walls of this amazing place. 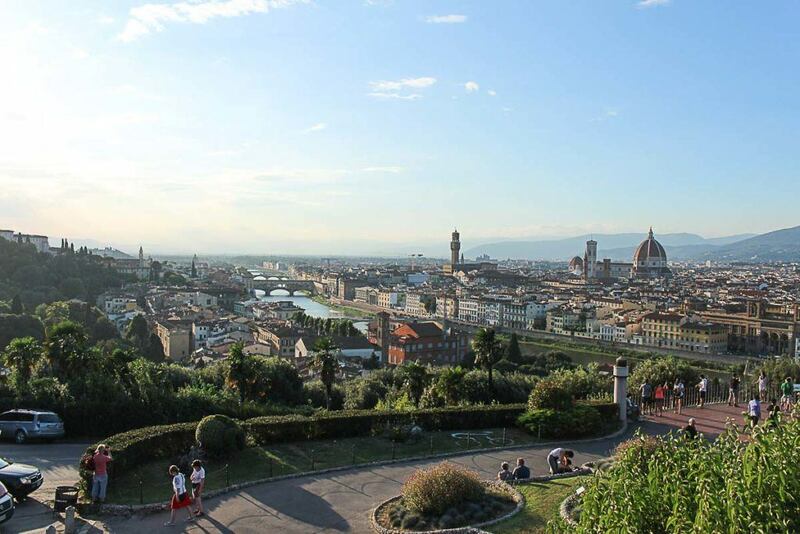 These were our 6 recommendations of what to do in Florence in one day. The best Florentine museums and palaces that will leave you speechless and made you travel in time, from the medieval period to the opulent renaissance. Florence is a city like no other, it breathes history and art, and it takes more than one day trip to experience it all. Between all the museums and palaces you will need a break to fill up the stomach and rest. 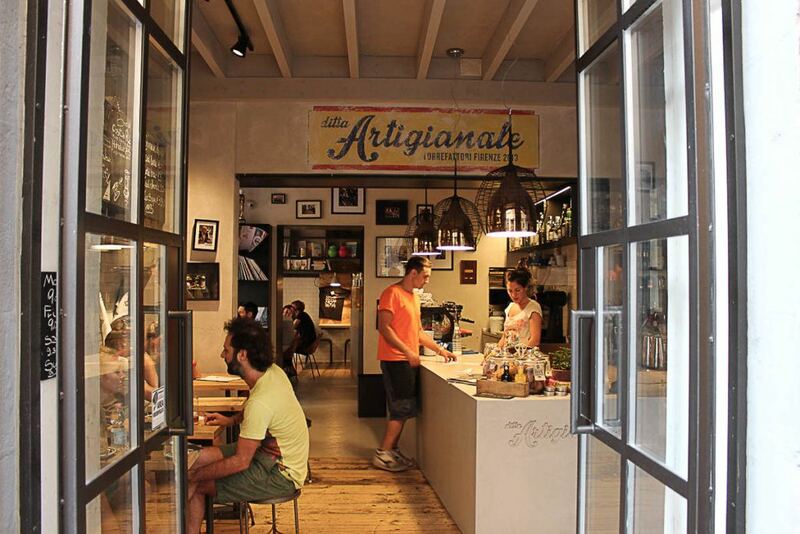 Our suggestion is to stop by the Ditta Artigianale Cafe, the perfect spot for a quick bite and delicious coffee. They have three cafes in Florence, so you can always find one that is close to the place you are visiting. If you follow our suggestion to sleep in Florence, we have a great suggestion for your evening in city: a traditional aperitif. The Italians had a brilliant idea to put together delicious food, wine, and cocktails in a casual atmosphere. Any happy hour looks boring when compared to the Italian aperitif. 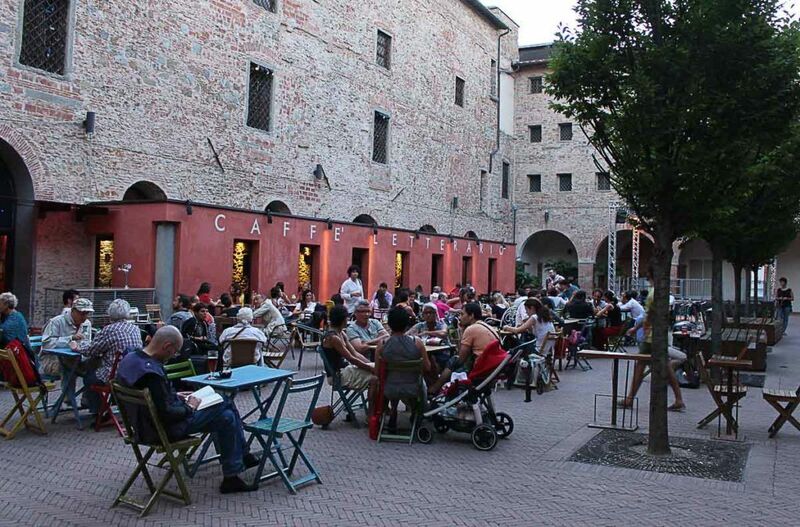 If you are not tired of art go to the aperitif at Le Murate Cafe Literario. Expositions, events, a lovely restaurant and aperitif from 6 PM to 9:30 PM. You buy a cocktail or wine and you can eat the delicious buffet with finger food and some local delicacies. If you are too hungry you can dine there or book a table at one of the finest restaurants in town. 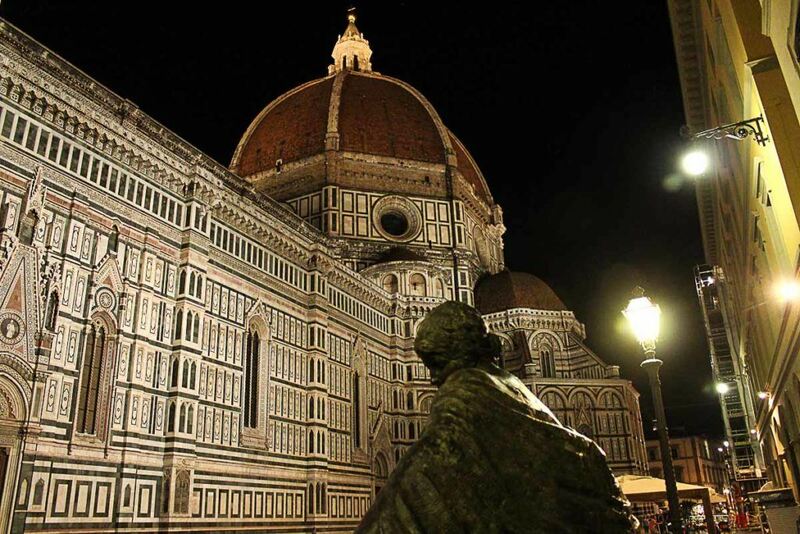 Now you are ready to plan your one day in Florence itinerary.Make the most of it by visiting the best museums in Florence and also tasting delicious and local food.